Born in San Francisco, Arthur Winfield Knight has had more than 3,000 poems, short stories and film reviews published in magazines and anthologies, and his work has been translated into Chinese, French, German, Italian, Japanese, Serbo-Croatian, Spanish and Turkish. 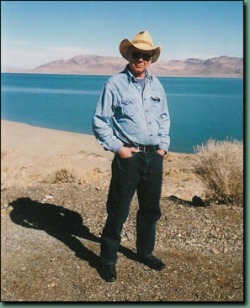 He is listed in Who’s Who in America, Contemporary Authors and Contemporary Authors Autobiography Series (volume 27). He has taught in several universities, including University of San Francisco, and is a columnist for Senior Spectrum in Sacramento. His latest novel, Final Cut, is now available at Amazon and other internet retailers from Milverstead Publishing.